Trey enjoys working as a Project Manager for IMS. He earned his undergraduate degree from BYU in Construction Management in 2009 and started work for IMS as a Project Engineer on the City Creek Project in downtown Salt Lake City. Trey completed his MBA at Utah State, received LEED accreditation (LEED AP), completed ABAA training as well as OSHA 30 Hr training. 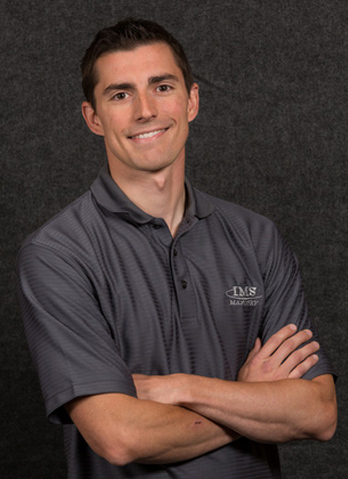 Trey spent a brief time as Project Estimator for IMS, and has managed nearly 50 large-scale projects. Trey recognizes the value of planning, organizing, and coordinating with customers as well as team members on each project. A few notable projects he’s had the privilege to manage are the L H Miller Megaplexes at Valley Fair Mall and Geneva Mill, the University of Utah’s Football Center, School of Dentistry, and Sorensen Building, the Salt Lake City Public Safety Building, the Station Park development in Farmington, and the RC Willey in Draper. In his free time Trey enjoys spending time with his wife and kids in the garden and the outdoors.